We decided to change the grade level of one of our children for the upcoming year. So now we have two 8th graders, one 9th, one 10th and one 11th. Now that all the kids are getting older and expressing some of their own interests, our curriculum selection is getting to be quite fun! The following is what we are doing this year - click on the words in Bold for more information. Geography - One of my 8th graders is doing Mapping the World with Art by Ellen McHenry. My other 8th grader is doing World Physical Geography By Runkle. Science - Anatomy and Physiology One of our 8th graders is doing this with Body of Evidence. The other one is doing Physical Science. I found an alternative to the Apologia and I am very excited about it. Chinese - Mango Languages One is doing this, while the other is doing Spanish 1 with BJU. Algebra - Chalkdust One is doing Algebra, the other is doing Pre-Algebra - both through Chalkdust. Writing - One child is doing Write at Home the first semester, both children are doing WriteShop through Big River Academy second semester. PE - Both of our 8th graders are quite active. One is completing her Black Belt in Taek Won Do this year. The other is continuing with mixed martial arts and will be doing a season of basketball with a local Christian School. Both will be participating in our Homeschool PE co-op once a week. Geography - Mapping the World with Art by Ellen McHenry. Psychology - 7 Sisters Intro to Psychology 7 Sisters has great products and a fantastic selection of items that are hard to find for teens. Career Development - 1st semester - 7 Sisters Career Development Bundle - we are hosting a teen co-op this year. 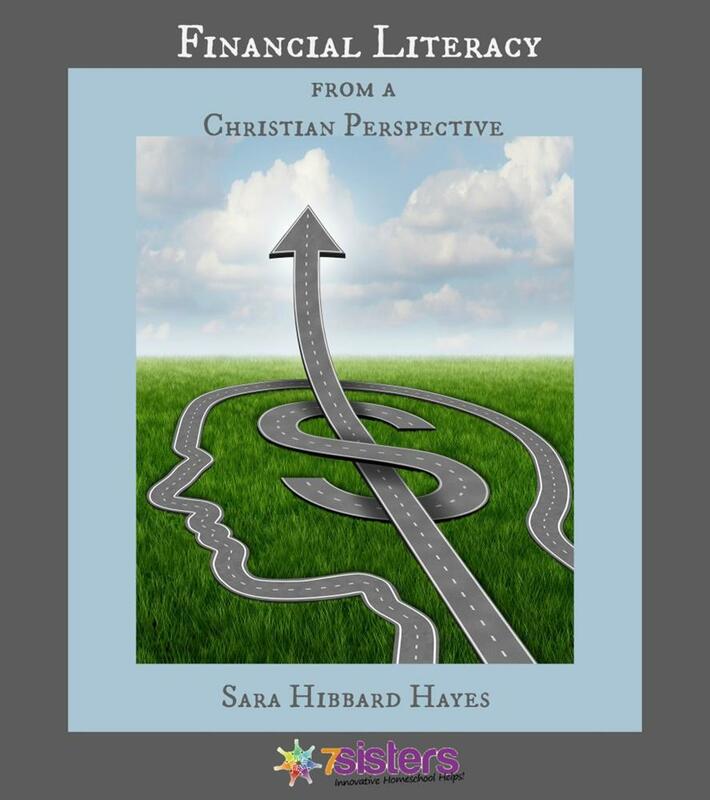 Personal Finance - 2nd semester this will be a combination of Dave Ramsey's Foundations in Personal Finance, Life Prep - Life Skills for Homeschooling Teenagers and 7 Sisters Financial Literacy. Economics - Notgrass and Compass Classroom - We will be watching the Economics for Everybody videos by Compass Classroom. 10th Grade - Our 10th grader has some special needs, so her curriculum looks a little different. Geography - World Physical Geography By Runkle. Life Skills - We use two different things from Attainment Company - Budgeting and Life Skill Lessons - We only do life skills from these books 2-3 times a week, so they have lasted us several years. I make a list of what I need vs what I want. I rarely buy anything new. I always shop ebay, the scratch and dent and clearance sections of various curriculum sites, and local curriculum sales. I also use a variety of online sites with discounted book - I have posted links below. If I do buy something new - I will make sure it is something that I intend to use with other kids down the road, make sure it has a good resale value or purchase it digitally. Digital curriculum is fantastic as you can get it, often for a fraction of the price. Print what you like or use an edcuation discount to have it printed and bound - if you really need to. It also saves room - My shelves are full, my cabinets are full, and my bins are full - I don't have room for more books. I always resell what I no longer need. I first sell on FB pages - no fees, then ebay - then local book stores and curriculum sales. What I can't sell - I donate. I always use the library - if you haven't check into inter-library loans - do so - you can find amazing things! I enter giveaways - but not alot. I sign up for limited newsletters. Most newsletters will have a discount or coupon code, as well as great information. I watch for sales that I know are good and only happen once or twice a year. - Such as the Build Your Bundle Sale. Abe Books - If you have an ebates account you can get a rebate right into your PayPal account or a check sent to you for clicking through ebates first. If you don't have an account you can sign up HERE - it saves me a few hundred dollars each Christmas alone.